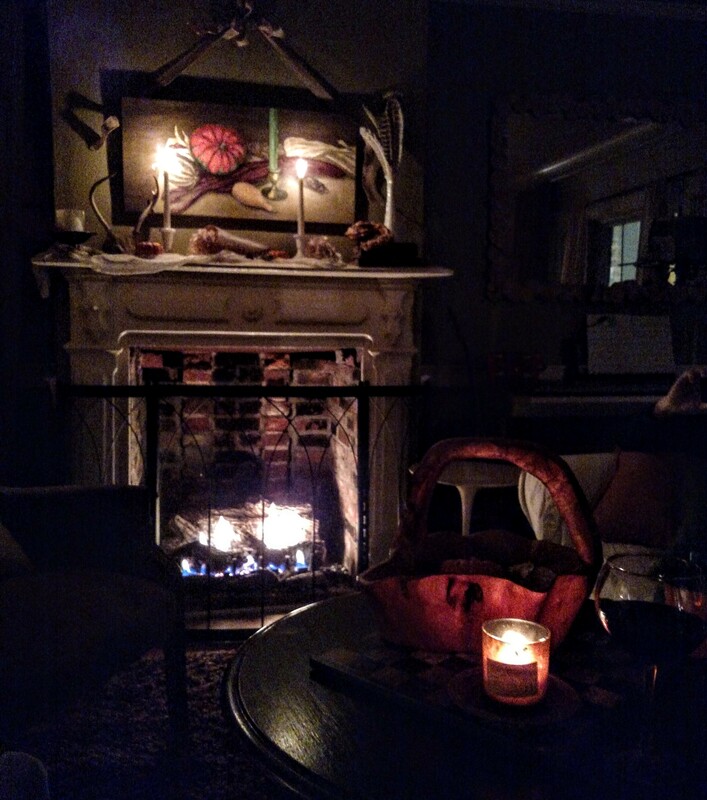 Our home fires are both necessary and symbolic. Religious mythology include kitchen hearths and their keepers because the hearth is the place where life and family begins and ends. Heat and life begin within the womb and warmth of the family. And I have always known that my job is to tend that warm place. I love making fires. I saw an Indian gentleman show the true way to make fire out of forest fodder and I swore I would do that too. What a skill to have. And then I had Fiona instead. She is our “fuego rojo”, a fiery red-headed daughter. 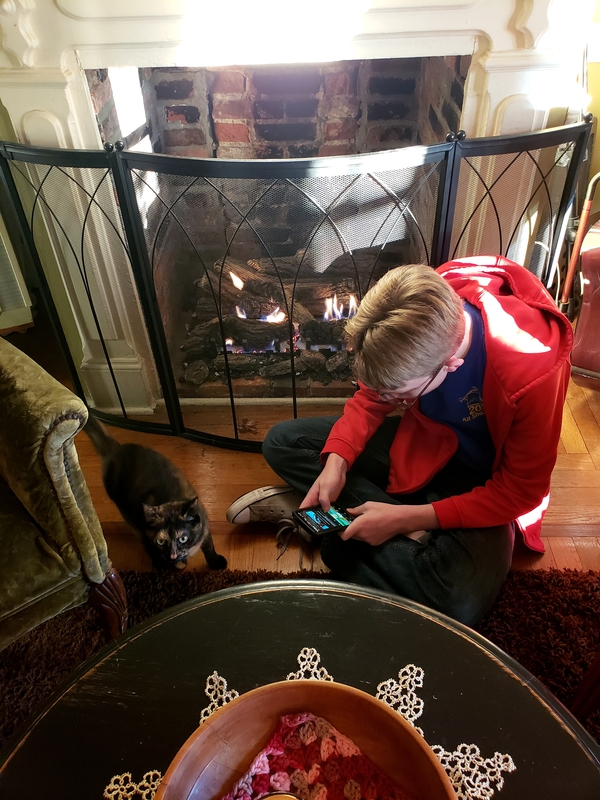 Although our actual fireplaces were long ago rendered obsolete, we bought a gas insert for our living room hearth 15 year ago. I tend that fireplace with a once a year blow out of the dust from the pilot light and relight it to begin our fall season. My truest joy is how my kids enjoy huddling next to it on the cold days. They ask to light it before school. And pull pillows up to warm themselves. That is the memory I want for them of their home life here. That coziness and kept feeling of home. If they take that with them then I have done my job as the hearth keeper. Without a sense of belonging and knowing our own value in the world, we see no one there for us. We do not see ourselves within a community simply because we cannot understand how and why they would value us. Further, we’re suspicious of them if they do tout our value. What do they want from us? Our families may be the only people we interact with and this may be similarly stressful. Yes you have to show up because you’re family but do you really like me for the person I am? This sense of not belonging in the world, even within one’s own family, is a devastating and debilitating symptom of our dissociated society. Our need to be accepted as ourselves is so primal yet we end up selling ourselves short to find acceptance for the people we are not. I am summarizing the brilliant work of Brene Brown on vulnerability and courage because I see it as the base for all that ails us. We can not be authentically ourselves so we cannot create. We don’t allow ourselves to create to find our authentic selves. We then must buy our status, our identity in the world causing debting and economic problems. And at the end, all we want is just to be appreciated for who we actually truly are. Our longing to be vulnerable and accepted has us running on a hamster wheel to achieve the Prize of Perfect but when we are appreciated and liked, we find we are alone in this crowd. Our greatest fear of being alone and not belonging to the people we are with has been realized. Our need to be accepted as ourselves is so primal yet we end up selling ourselves short to find acceptance for the people we are not. My thought is that if we started with the absolute understanding that everyone was feeling the same way, if we gave grace and acknowledgement to ourselves and others, we’d fast break down our pretend perfection walls. And that in those moments when we were with others being seen for our true selves, we’d never be able to stop the community from happening. As humans, we are hardwired for connection. We are tribal. Trick is to start with the people who truly do get you. And be vulnerable and willing to build from there. I guarantee they’ll show you your value every time you are with them. And you’ll know the meaning of community and its necessity.